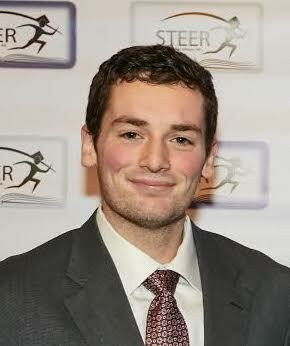 Patrick Durney - STEER FOR STUDENT ATHLETES INC.
​Patrick grew up in Yorktown Heights, NY where he graduated from Yorktown High School in 2013. After graduating, Patrick went on to study social sciences at Westchester Community College. There he was a founding member of the Social Science Club and a leader in the Political Activist Club. With these roles, Patrick helped bring WCC students for the first time ever to the Harvard National Model United Nations where students are tasked with attempting to collaboratively understand and offer solutions to global problems. He graduated with an Associates in Social Sciences with honors distinction and moved to Port Chester, NY, where he went on to study political science at Purchase College. At Purchase, Patrick landed a job as an Athletic Assistant within the athletics department where he assisted in organizing Division III athletic events. When school was not in session, he interned at the Carver Center in Port Chester working in the food pantry assisting families who needed nutritional advice and support. When school was in session, Patrick worked in the classroom at Purchase College as a Learning Assistant for the Political Science department where he helped facilitate classroom instruction and tutored freshman students. Patrick is excited to join the Steer For Student Athletes team where he hopes he can bring a knowledge of policy and administration to help our student athletes and community navigate exciting opportunities and overcome challenges.